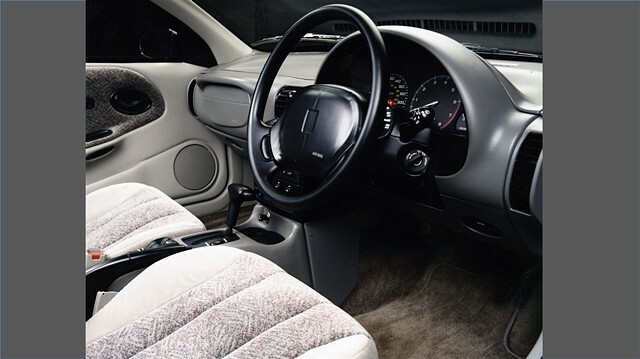 This Saturn S-series interior was designed at General Motors Design Center. It remains similar to the original concept sketch. In this version shown we were exploring options for tooling parts for export with right hand drive as shown in this image.